I don’t just consider my tools as tools. I consider everything in my stash as tools. 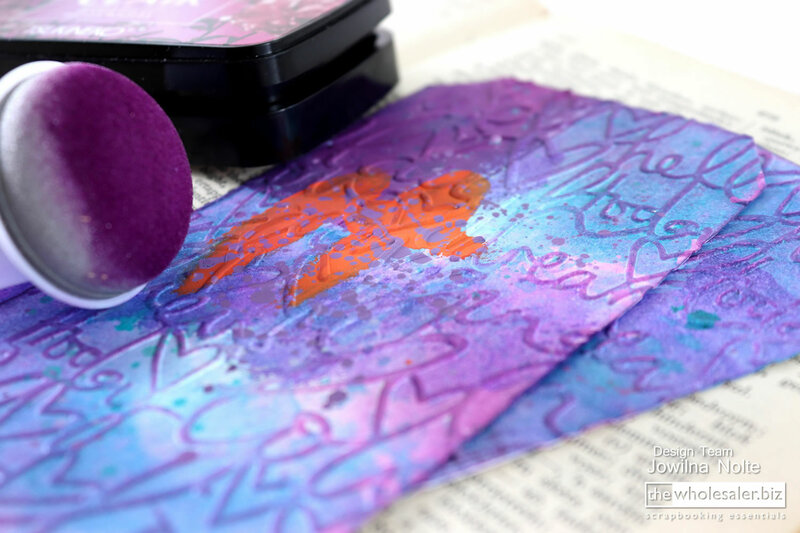 Today I am sharing how I used my ink pads as tools to create a pattern and daubers, real tools and one of my favourite blending tools ever. 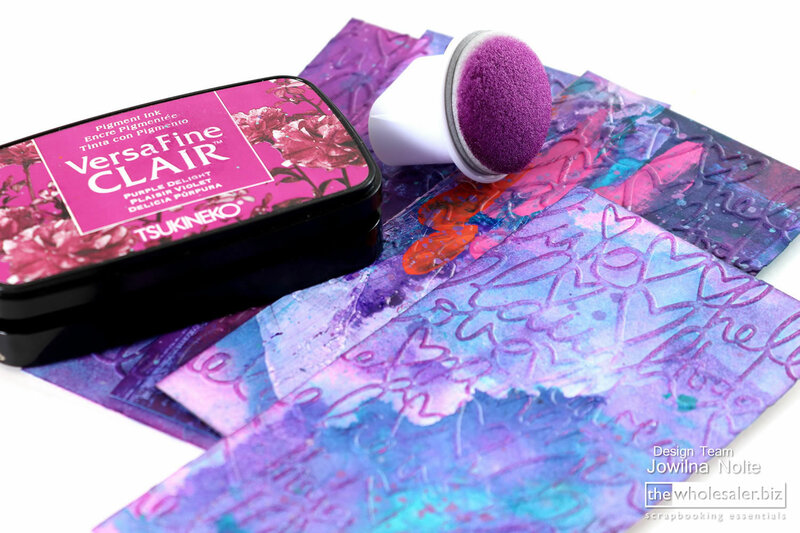 Use 2 different VersaFine ink colours and stamp the ink pads onto white cardstock. 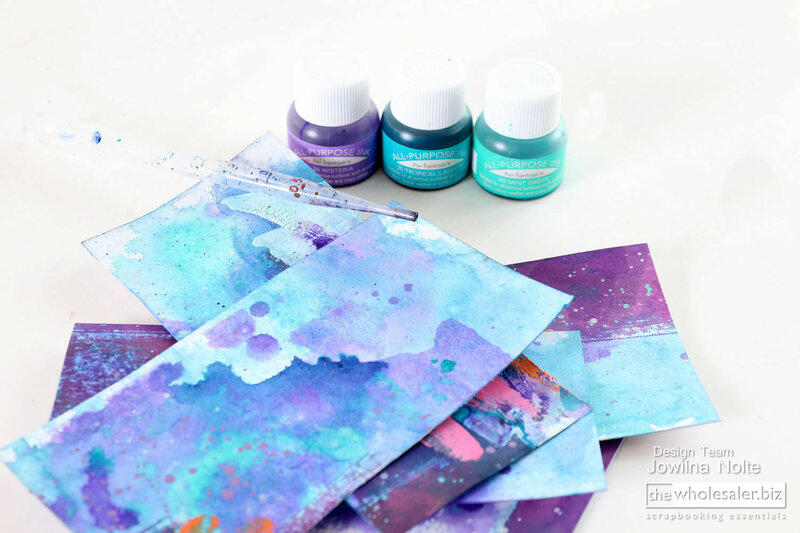 Its so easy to use these wet ink pads to create a fun pattern, and because the colour is translucent the colour below will still show through creating an interesting effect. 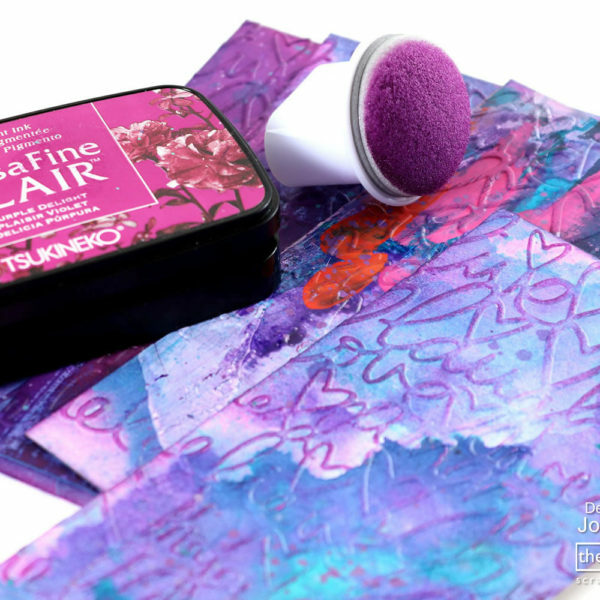 Use 3 colours of All-Purpose ink and a pipette to add colour to the background. 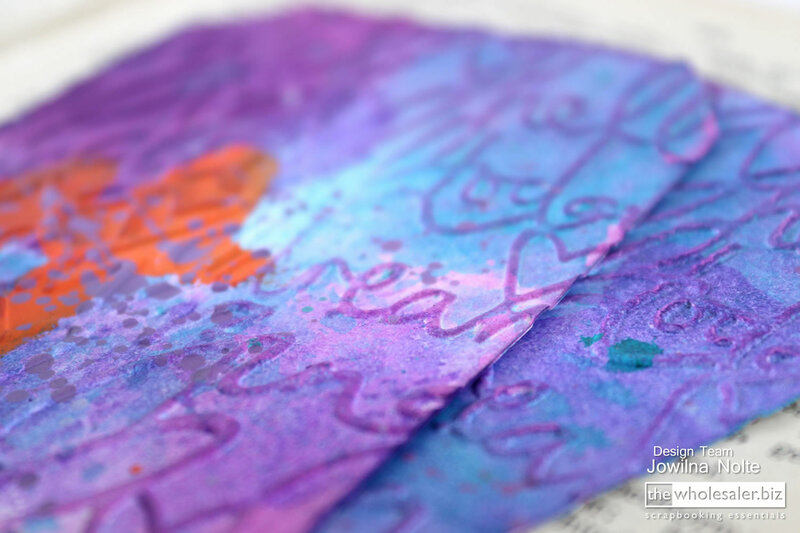 Drop a few drops of one colour onto the paper at a time and mist with water, then add a few drops of the other colours and repeat. 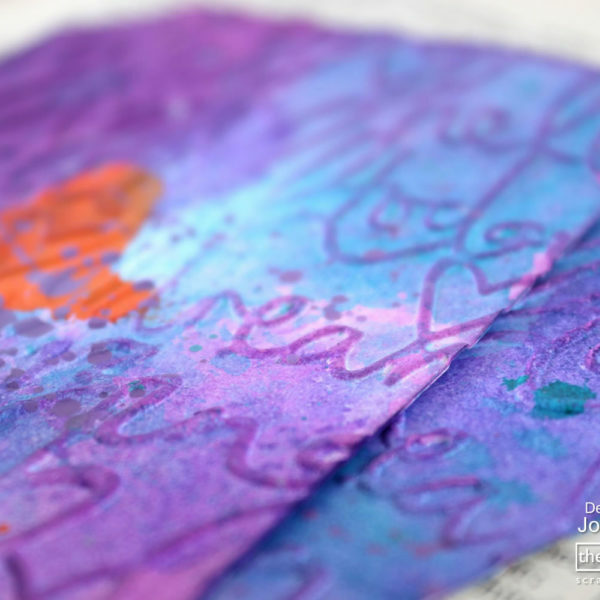 Let the inks flow and bleed into each other and then heat set using a heat gun until dry. Cut the paper into smaller tag sizes. 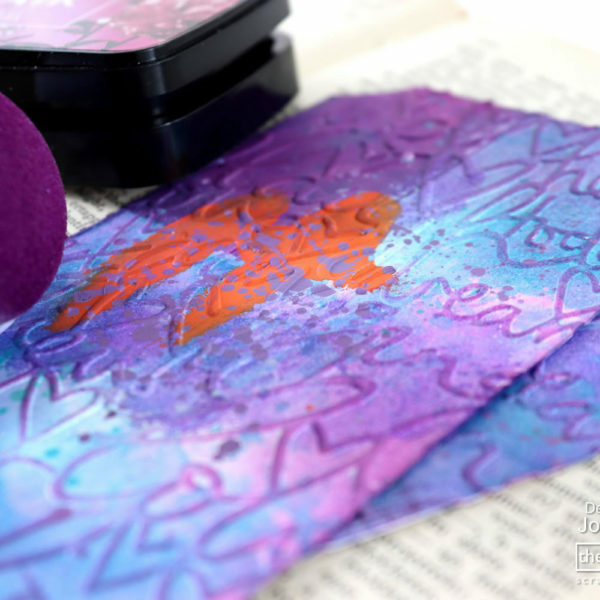 Emboss the tags using a Love themed embossing folder. These tags are perfect for small Valentines’ gifts for friends and loved ones. 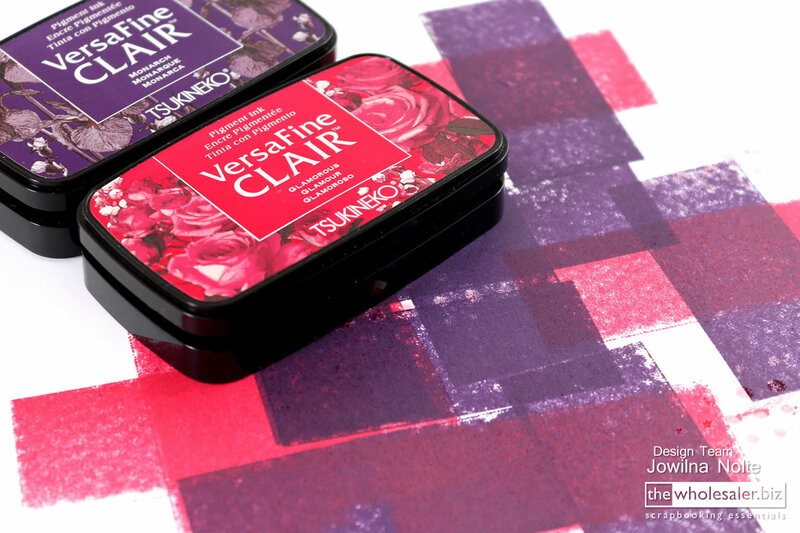 Then use your dauber to ink over the edges of the embossed tag using VersaFine Clair Purple Delight to highlight the raised areas. 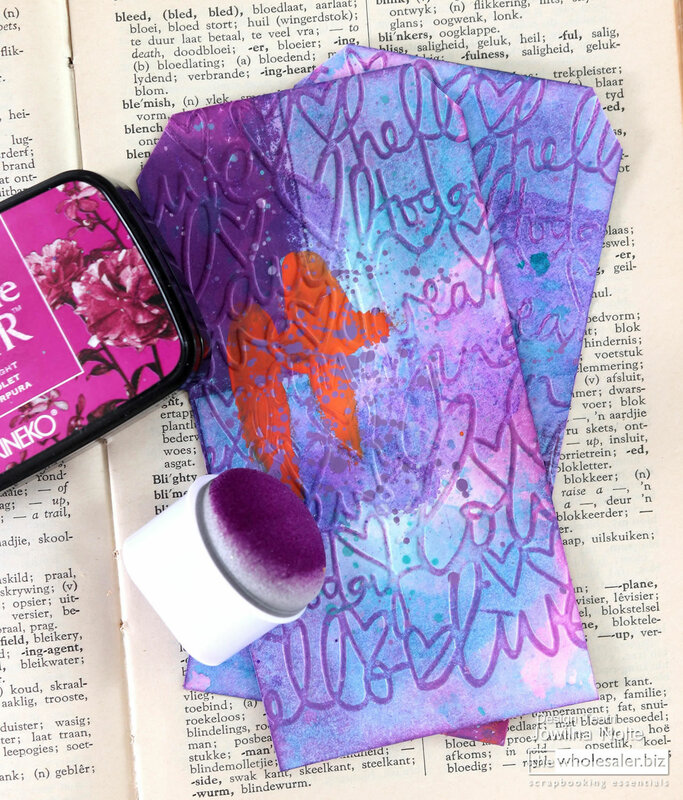 Daubers help spread the ink more evenly and the way you use these daubers can improve blending a great deal without causing lines and patchy blending. 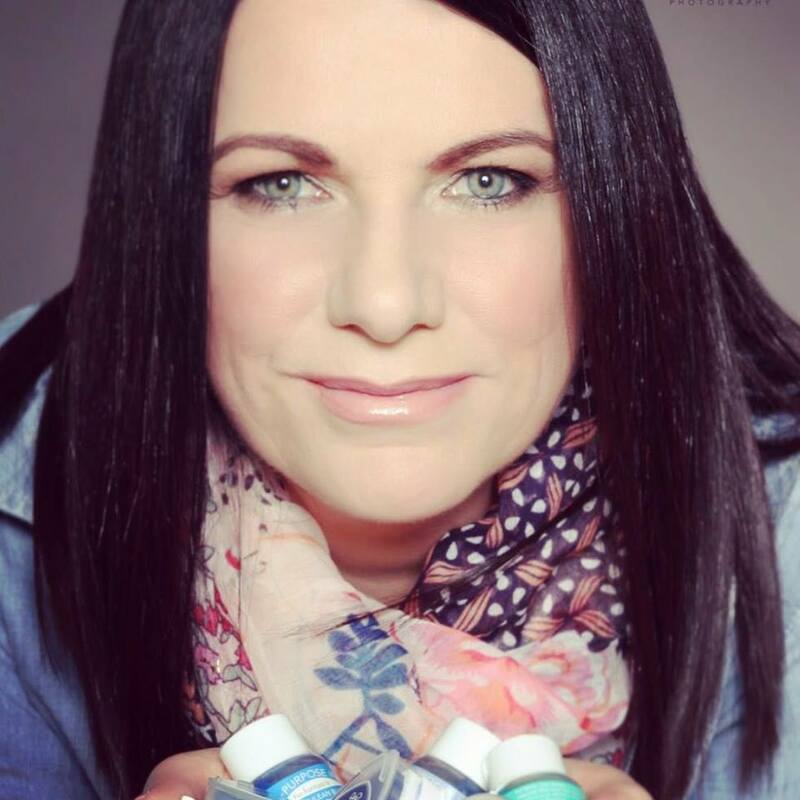 I see my inks as much as a tool as a real tool – tools in my opinion are anything you can use to create an effect and help you achieve the end result you want. It may not be a conventional tool, but in my eyes they totally are tools making life a little more colourful. 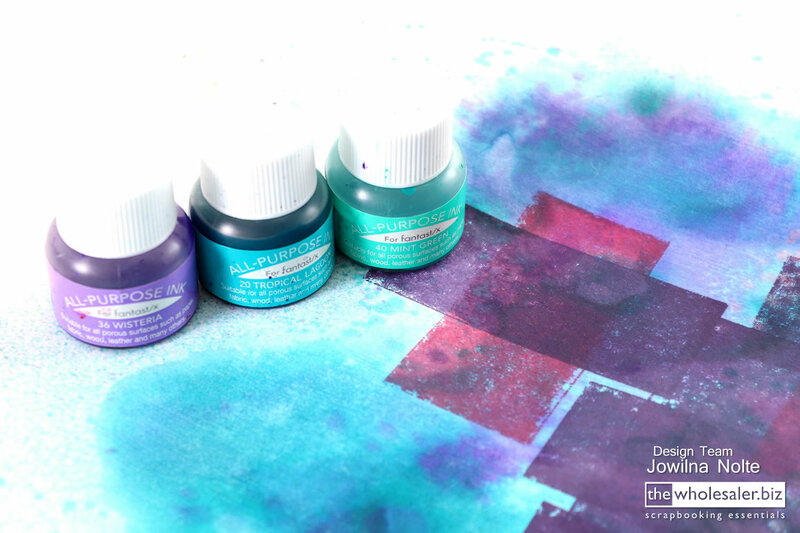 Now using one of my favourite blending tools, I can control how colourful I’d like to make my projects.